Way back in 2011 when I published my first Sole E98 elliptical review, I had mixed feelings about the machine. Today I take a second look on the new E98 model (2018), and I must say I’m impressed. 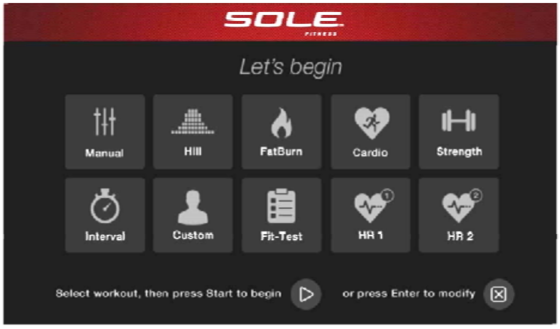 In the world of ellipticals, there are few names that carry the same respect as Sole Fitness. The Sole E98 elliptical is the brand’s follow-up to their popular and highly rated Sole E95 model. It’s a light commercial machine built for gym use, but is an excellent choice for your home gym as well. Selling for $2,000-$3,500, it is not a cheap purchase, so you won’t want to invest your money without learning more about it first. Let’s explore the features in-depth. Then we’ll talk about assembly, pros and cons, the warranty, customer reviews, service, and more! Update 4/2/18: The spring has arrived (again)! Don’t miss out on the Sole Fitness E98 elliptical spring sale, take advantage of the spring sales & get $1000 $1200 off on the E98. Sturdy design. The Sole E98 includes a strong frame built from 38-millimeter steel. It can support a user who weighs up to 400 pounds, and will stand up to the test of time. I’m not aware of a single recall, such as this. Ergonomic features for comfortable, natural strides. The foot articulating pedals on the new E98 were developed under the guidance of a physical therapist. The pedals have a two-degree inward slope. This slope reduces the amount of stress which your ankles and knees are subjected to. The articulating design conforms to your individual strides, reducing numbness in your toes and supporting your Achilles tendons. The 15” pedal size is comfortable for most users. Reviewers love these ergonomically designed pedals and say that they really do their job! Power incline. 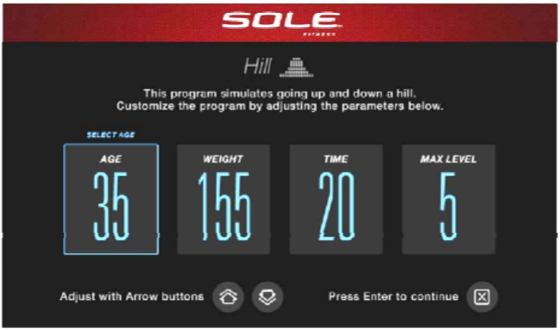 This is a very cool feature which allows you to customize your workout. At the push of a button, you can adjust the ramp angle within a 30-degree arc. At every angle, you work out different muscle groups. This is a great way to target different groups than you would usually get to work out using other light commercial elliptical machines. A 32-pound flywheel. It offers smooth, quiet operation. Standard and custom programs are available. The E98 includes six standard programs, two heart programs, and two custom programs you can tailor to your needs. This keeps your workouts challenging and engaging. There are 20 levels of resistance available. Before you get started, the machine will ask you for some basic information such as your weight and age so that it can set up relevant programs for you. A large 9” LCD display. The display makes it a breeze to choose the program you want. The display also keeps you apprised of your heart rate, how many calories you have burned, how far you have traveled, and how long you have been working out. This makes it easy to measure the effectiveness of your workouts and stick to a plan which is generating results. Features for your comfort include a built-in fan to keep you cool, a handy water bottle holder to help you stay hydrated, and built-in speakers you can use to play your favorite MP3s and stay motivated. You can use headphones if you don’t want to blast your music out through the speakers. The “water bottle holder” is not the best; it’s more of a slot than a proper holder. Heart rate reading: you can measure your pulse either through the grips or through a chest strap. The chest strap is optional; some orders seem to include it while others do not—more on that in a bit. The new Sole E98 elliptical chest strap (optional). The chest strap is a accurate and reliable method of heart rate reading. The machine arrives in a single box which of course weighs around 250 pounds. Your first workout will be opening the box and carrying 250 pounds of elliptical inside, piece-by-heavy-piece. There are around 60 pieces in all, and that’s not counting the nuts and bolts. There is a manual to get you started, but assembly will still take you hours. The manual is thorough, but tends to try to walk you through way too many steps simultaneously. It’s a pretty tall machine too, so take measurements of your space before you buy it! Sole Fitness provides a great warranty on the E98 elliptical. You get a lifetime warranty on the frame, five years on the parts, five years on the electronics, and a two on labor. What kind of customer service can you expect from Sole? Judging from customer reviews (and a sterling reputation around the globe), Sole is a great company to deal with. One customer relates how he was dismayed when the elliptical didn’t come with the optional chest strap. He called customer service to complain about it, and they sent him one free of charge which he received in the mail a week later. Now: is the E98 elliptical the right choice for you? The power incline feature is quite unique and a great way to customize your workouts. 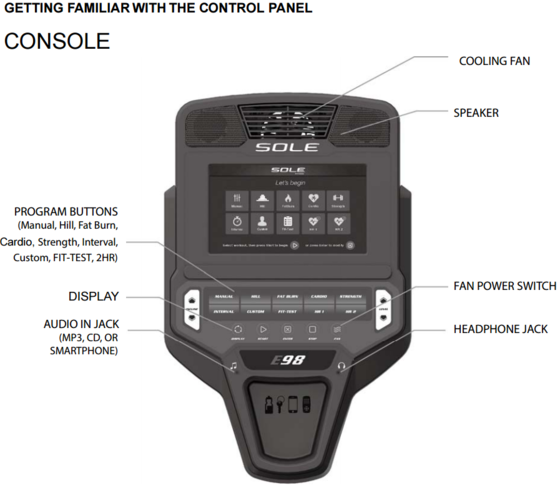 Customers report you will get a very challenging workout from the Sole E98. The heavy flywheel makes for smooth, quiet, pleasant operation. The foot pedals feature amazing ergonomic design, and really do reduce toe numbness! The inclusion of an MP3-compatible sound system is great. The warranty is excellent, and Sole provides top-notch customer service. If you don’t get the chest strap in the box, they’ll send it free of charge if you just call and ask. The machine supports 400 pounds, which is more than a lot of competing ellipticals. Assembly takes a long time, and the instruction manual is a right pain to try and follow. The water bottle holder isn’t all that great. There is no reading rack. The speakers are useful, but not all that powerful. The machine may be too tall for some spaces. The E98 is more expensive than the E95. The Sole E98 elliptical isn’t a perfect machine; it does have its flaws. Thankfully however most of them relate to comfort (i.e. the speakers or reading rack) and not to features which are essential for performance. Performance-wise, this is a powerful, sturdy, challenging machine which will give you an awesome custom workout. It’s slightly expensive and takes some time to set up, but customers reviews rate the E98 Sole elliptical highly and report that it’s a top purchase well worth the money. So if performance and customizability are what you value, the may be the perfect elliptical for you! Finally, the spring is here! Don’t miss out on the Sole Fitness spring sales, ordinary price is $3,499.99, now on sale for $2,299.99 (you save $1000 $1200 on the E98 elliptical). Check the official website for warranty information and shipping details.